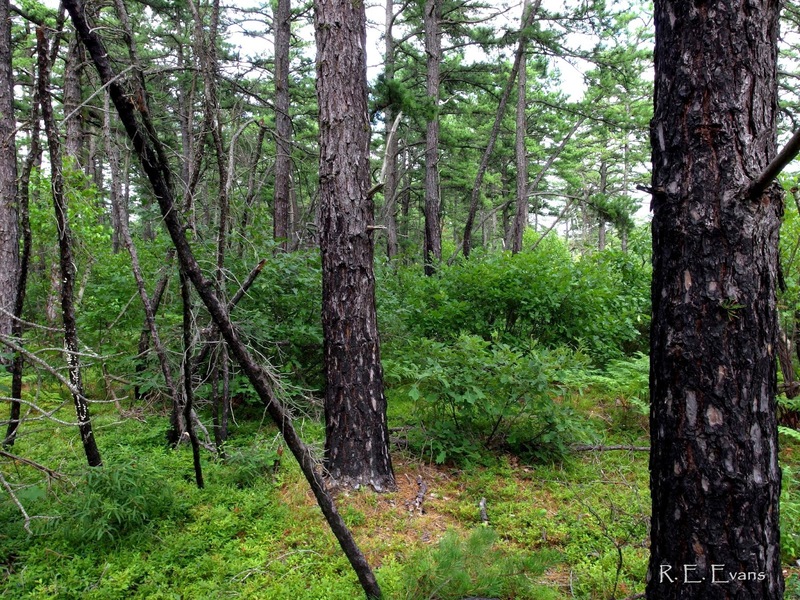 In a previous post I briefly discussed two examples of fire-maintained vegetation in southern New England (http://ncplantcon.blogspot.com/2014/08/pine-barrens-grasslands-in-new-england.html). 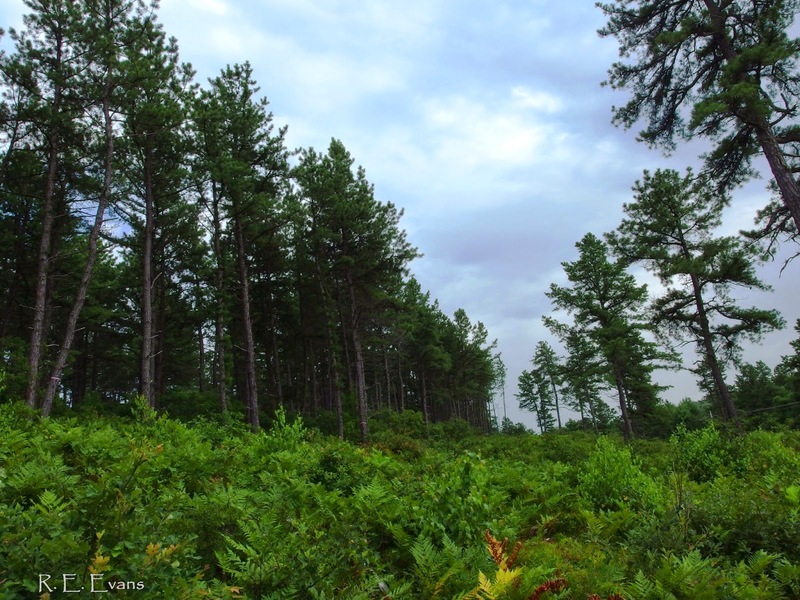 Ecologically similar sites, often referred to as "pine barrens" or "pitch pine barrens" are scattered around the region. I visited examples of this unique vegetation in Maine, New Hampshire, and Massachusetts in late summer (2014). Some examples were enchanting forests; gnarly & twisted pines with charred boles, multiple age classes, and patchy ground cover openings. All sites occurred on "sandplains" or glacial outwash plains. These deep sandy soils supported two consistent species across all sites visited; Pitch pine (Pinus rigida) & Bear Oak (Quercus ilicifolia). 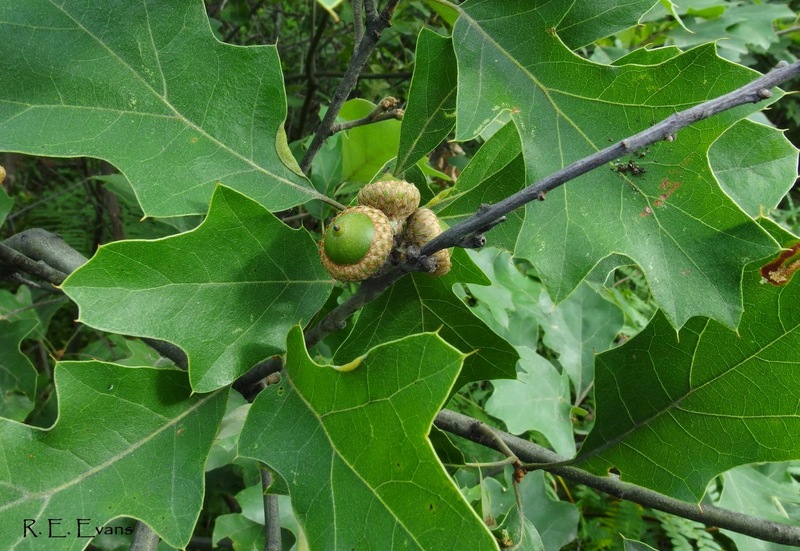 Bear Oak was often heavily dominant as a tall shrub or dense midstory layer. Many areas I visited were thickly stocked with dense Pitch Pine, while others were open woodlands. Fire history could partially explain those density differences, with more frequently burned sites supporting the woodlands. Much of the region around the Waterboro Barrens, was burned over in Maine's largest series of forest fires in 1947. Since that time (and prior to restoration work), a 93% decline in open canopy pitch pine has been documented (2). In addition to the loss of open woodlands, Patterson (1) found that stands unburned since 1947 had developed highly volatile, well aerated fuels conducive to high intensity, fast moving fires. dense forest (left) unthinned, open woodland (right) mechanically thinned. Not surprisingly, a proactive management strategy of mechanically thinning trees and brush around exterior boundaries of the site has been implemented. This strategy serves a dual purpose of minimizing fire behavior while "restoring" some of the open canopy woodlands that have been lost. This management strategy was also being implemented at a New Hampshire site I visited. Hand crews were actively cutting, clearing, and piling brush in much the same way we have done on fire reintroduction projects in North Carolina (one of which involved pitch pine). Examples shown here (below) were presumably thinned to achieve this open structure. While appearing structurally similar, understory composition varied considerably; Concord (right) was much richer floristically and perhaps has a longer and/or more recent history of prescribed fire; prescribed burns began there in 2003 and ~ 20 acres or so have been burned in most years since then (3). Managers at Concord have a compelling reason to reintroduce fire. 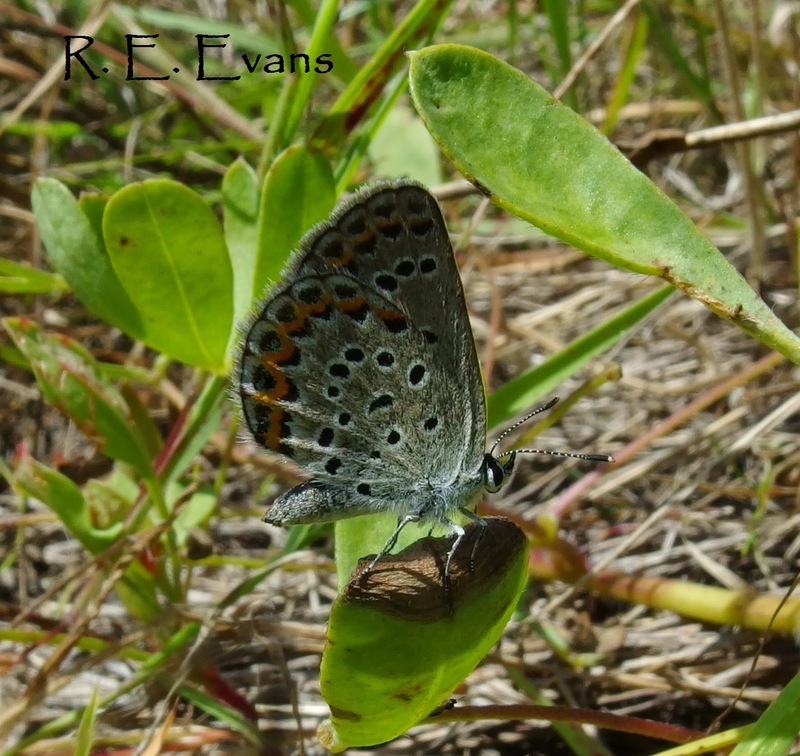 In addition to restoring a rare and declining natural community type, and reducing wildfire risk, their site is the only location in New Hampshire and the world's easternmost location known to support the Karner Blue Butterfly (4). Thanks to Harry LeGrand for ID confirmation! This federally endangered species (also found in the midwestern US, and mentioned in an earlier blog regarding the connection with Sundial Lupine) has been reintroduced to the site, along with Lupines by biologists in New Hampshire. One relatively small portion of the site was exceptional for its grassy character (see image below). I observed a number of plants there, but in no other "barrens", including Big Bluestem, DogBane, New Jersey Tea, Ground Cherry, and others. It will be interesting to see what management activities, especially prescribed fires, are conducted across these barrens and the results they achieve. Reducing dangerous fuel loads while restoring more natural structure seems like a logical way forward (see below), but the real proof comes with fire.